Vind hieronder het aanbod reisgidsen met praktische informatie, de belangrijkste bezienwaardigheden en foto's en kaarten over India. Ze zijn verkrijgbaar in pocketformaat of juist zeer uitgebreid en voor backpackers, budgetreizigers, zelfstandige reizigers of de zakenreiziger. Maak een keus uit Nederlandstalige gidsen zoals ANWB, Dominicus, Elmar, Kosmos, National Geographic, Nelles en Trotter of de bekende Engelstalige gidsen Footprint, Lonely Planet en Rough Guide. Kom alvast in vakantiestemming, bestel eenvoudig online een reisgids en droom weg over India. De Cultuur Bewust!-gids geeft toeristen en zakenlieden belangrijke informatie met betrekking tot de cultuur van alledag in het land van bestemming. Anders dan in de gebruikelijke reisgidsen wordt de lezer in deze reeks bijgespijkerd op het gebied van omgangsvormen, normen en waarden, hoe zich te gedragen en wat verwacht mag worden op zakelijk en sociaal gebied. Het zijn beknopte zakformaatgidsen met interessante wetenswaardigheden over het dagelijks leven. Een must voor iedereen die naar het buitenland gaat voor vakantie, studie of werk. India's population of 1.2 billion is as varied and colorful as the spice markets of Old Delhi. 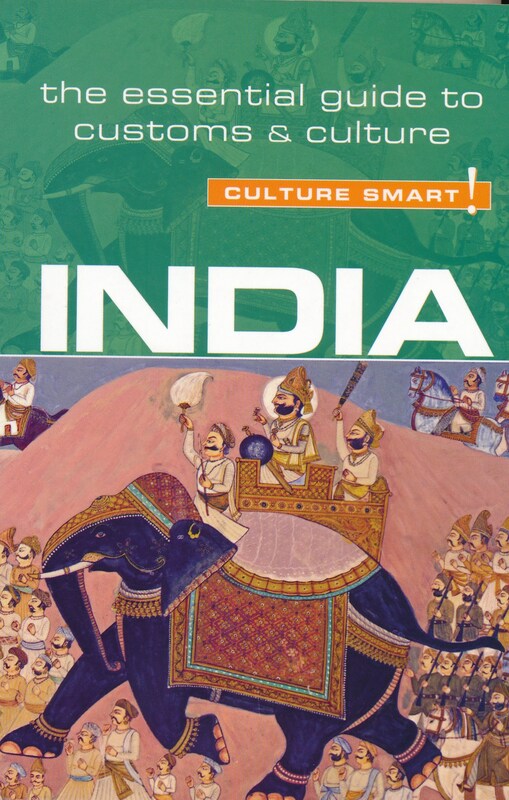 Each region, caste, and community has its own culture, reflecting unique histories shaped by conquest, creativity, and religion, expressed in distinct languages, social customs, art forms, and expectations of life. Despite enormous recent political and economic change, in many ways India remains the same--a total sensory experience. The chaos and beauty of color and sound, the language shifts every ten miles, the household variations of spicy and sharp, sweet and sour, the insistent smells of everyday life lived very much in public, and the invasion of personal space will challenge the most experienced traveler. But it is in surrendering to your senses that you begin to embrace the essence of India and to understand its people. Indians live with paradox. Proud traditions and patriotism commingle with tensions and prejudices rooted in age-old rivalries. Ancient temples may be plastered with signs advertising the latest technologies. The rapid urbanization of the last century has given rise to burgeoning slums and an affluent middle class that was nonexistent a few decades ago. Steeped in tradition, exceptionally fatalistic, and intensely passionate about their culture, the Indians are an ingenious, adventurous, and creative people. Show interest in their country and most will respond with genuine warmth and friendship. But they also have indelible ties to family and community that form boundaries and determine decisions that may not always seem reasonable, or sometimes even ethical, to outsiders. Culture Smart! 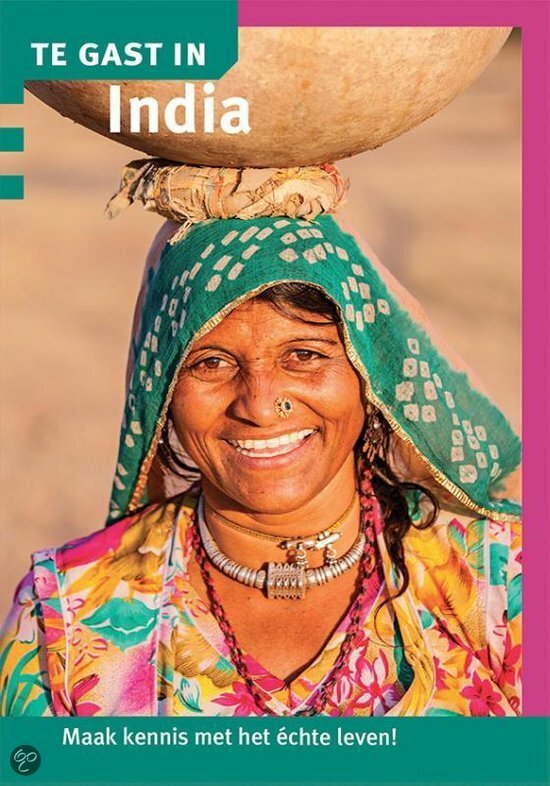 India will make you aware of basic values and behavioral norms, show you how to navigate cultural differences and connect with real people, and offer invaluable insights into this great, endlessly fascinating land. Handige en overzichtelijke, kleine reisgids voor een eerste kennismaking met de vakantiebestemming. Globale uitklapkaart achterin, makkelijk binnenzakformaat. Marco Polo India south is for travellers want to have fun and feel relaxed from the moment they arrive at their holiday destination. This new series will appeal to all types of travellers, including those who havent bought a travel guide in the past! Marco Polos unique insider tips are peppered throughout the guide - offering a real insight into the destination. Includes special tips for when it rains, things to do for free, chill out and relax. Where to start - tells the reader the ideal starting point to explore the city / destination, how to get there: by car or public transport, where to park the car - and much more! The perfect day / perfect route - the best way to get to know a destination for those with limited time. Practical information on shopping, food and drink and much more - plus a phrasebook section. Also includes a fully indexed street atlas AND a pull-out map. Kleine uitgave van de alom gewaardeerde Footprint guides: goede gidsen met veel praktische informatie als hotels, restaurants, openbaar vervoer en musea. Ook gedegen culturele achtergrond informatie. D Karnataka is home to high-tech metropolises, ancient Hindu temples, ornate Islamic palaces, charming British boulevards and a vast countryside where time stands still - for now, at least. Footprint's Bangalore & Karnataka will take you from Karnataka's cultural wonders to its little-visited coastline, lush with river estuaries and mangrove swamps which rival Kerala's backwaters. This guide includes listings on the best places to eat and sleep, plus information on tours and activities. Essentials section with useful advice on getting to and around Karnataka Comprehensive, up-to-date listings of where is best to eat, sleep and relax Includes information on tour operators and activities from fishing to yoga Detailed maps for Bangalore and other key destinations Slim enough to fit in your pocket With comprehensive coverage of all the main sights, plus information on activities to take you off the beaten path, Footprint Focus Karnataka is the ideal companion to this intriguing region of India. 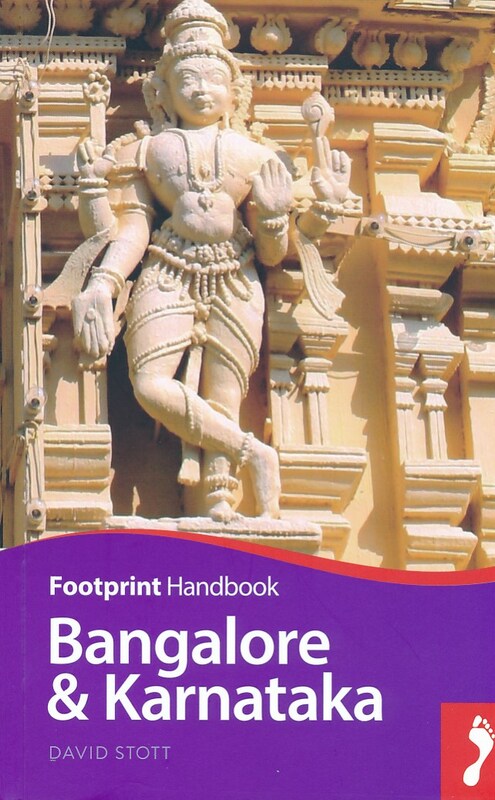 The content of the Footprintfocus Karnataka guide has been extracted from Footprint's India Handbook. Kleine versie van de grotere Handbooks serie van Footprint, daardoor een stuk handzamer voor wie zich beperkt to dit bepaalde gebied. Nog altijd vol met goede tips, veel praktische informatie en handige kaartjes. Delhi bombards the senses with its vibrant chaos, yet not far away is the peace of the mountains. 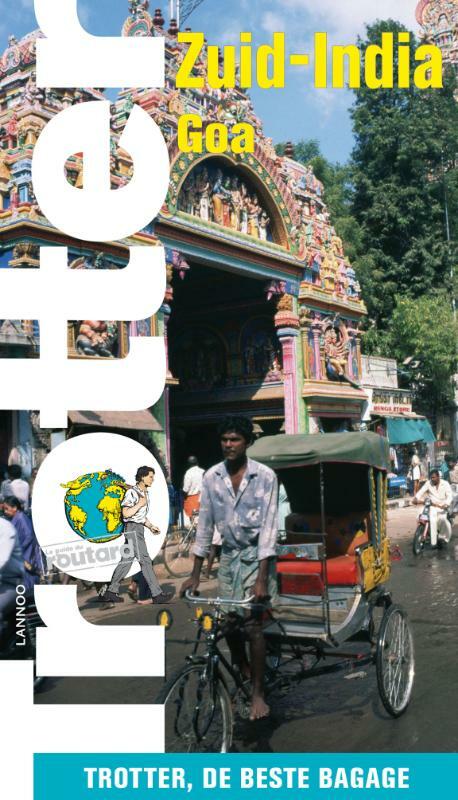 From spiritual pursuits to mountain trekking, Footprint's Handbook provides invaluable information on transport, accommodation, eating and entertainment to ensure that your trip includes the best of this fascinating region of India. 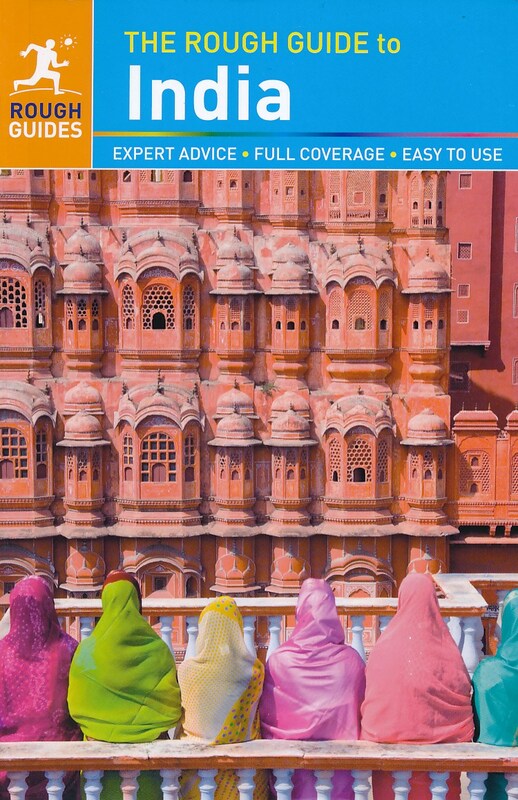 €¢Essentials section with useful advice on getting to and around Northwest India. €¢Comprehensive, up-to-date listings of where to eat, sleep and relax. €¢Includes information on tour operators and activities, from spectacular railway journeys to Raj relics. €¢Detailed maps for Delhi, Amritsar, Leh and other key destinations in the region. €¢Slim enough to fit in your pocket. 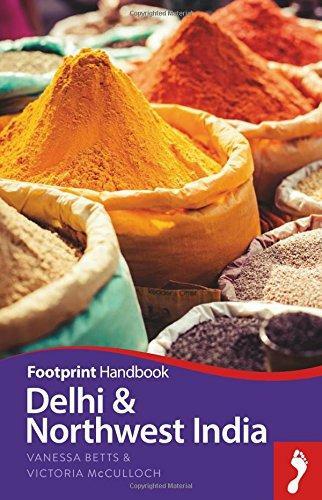 With detailed information on all the main sights, plus many lesser-known attractions, Footprint's Delhi & Northwest India Handbook provides concise and comprehensive coverage of one of the most beautiful regions of India. India expert Margot Bigg has made the move to India herself, and in Moon Living Abroad in India, she uses her know-how to provide insight and firsthand advice on navigating the language and culture of this complex country. Bigg outlines all the information you need in a smart, organized, and straightforward manner, making planning the move abroad manageable. 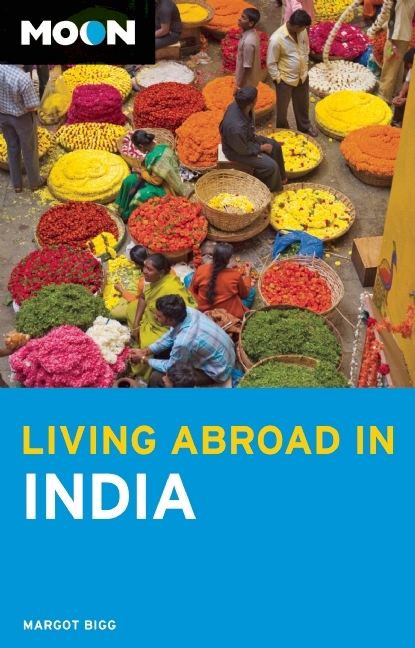 Moon Living Abroad in India is packed with essential information and must-have details on setting up daily life, including obtaining visas, arranging finances, gaining employment, choosing schools, and finding health care. With color and black and white photos, illustrations, and maps to help you find your bearings, Moon Living Abroad in India makes the transition process easy for tourists, business people, adventurers, students, teachers, professionals, families, couples, and retirees looking to relocate. Zeer goede reisgids voor zowel de georganiseerde maar vooral voor de zelfstandige reiziger. Boordevol informatie over reizen, slapen, eten, maar ook musea en cultuur. One of the world's most exciting destinations, South India and Kerala offers majestic temples, exotic wildlife, spectacular festivals and thousands of kilometres of tropical coastline. 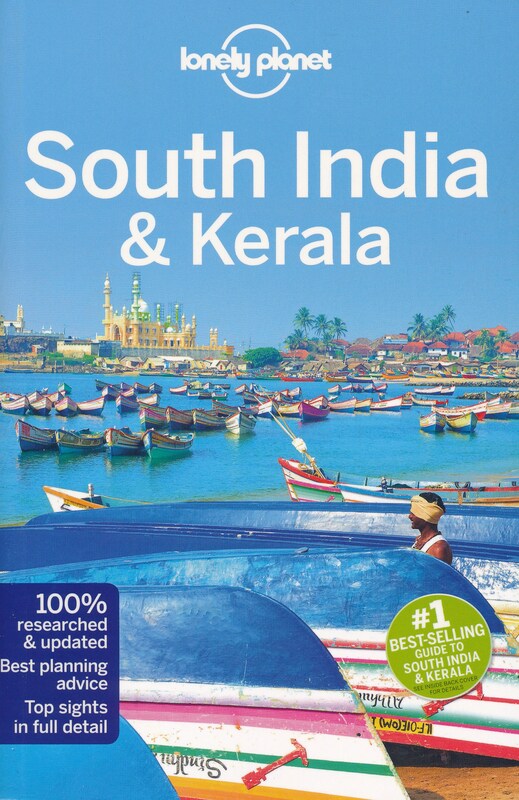 Written by Rough Guides' team of India experts, this brand-new Rough Guide offers the best blend of critical reviews, in-depth background and tell-it-like it is advice on everything from yoga retreats and beaches to spotting wild tigers and elephants.Also inside The Rough Guide to South India and Kerala: * Get inspired with our trademark things not to miss and author picks by local experts* Learn how to book a train ticket, what to eat and cultural tips in our travel basics section. * Read features on trekking in the Cardamom Hills, discovering the sacred sites of Tamil Nadu or exploring the lazy backwaters of Kerala* Find your way across every inch of South India with full-colour maps and easy-to-follow city and temple plans* Read the most detailed background on South Indian history, architecture and wildlife in contexts* Try speaking Tamil, Telugu or Malayalam with our handy language sectionIncludes Goa, Kerala, Mumbai, Tamil Nadu, Maharashtra, Andhra Pradesh, Telangana and the Andaman Islands. 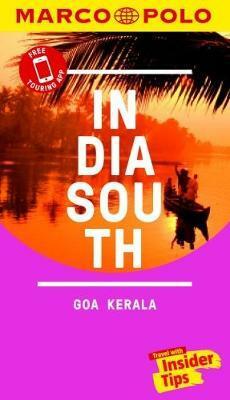 Make the most of your trip with The Rough Guide to South India and Kerala. Voor vele landen net zo goed, zo niet beter dan de Planet. Beduidend soberder uitgevoerd, maar ook met veel informatie voor backpackers en met veel kaartmateriaal. Een aanrader!. Himalayan Kingdoms, Buddhist palaces, mountain treks and spectacular scenery entwine in newly accessible Kashmir, introduced by Bradt in the first detailed guide to the region including 16 pages of high-quality photographs. Sophie and Max Ibbotson lived in India 2006-07 and have worked in both India and Pakistan. 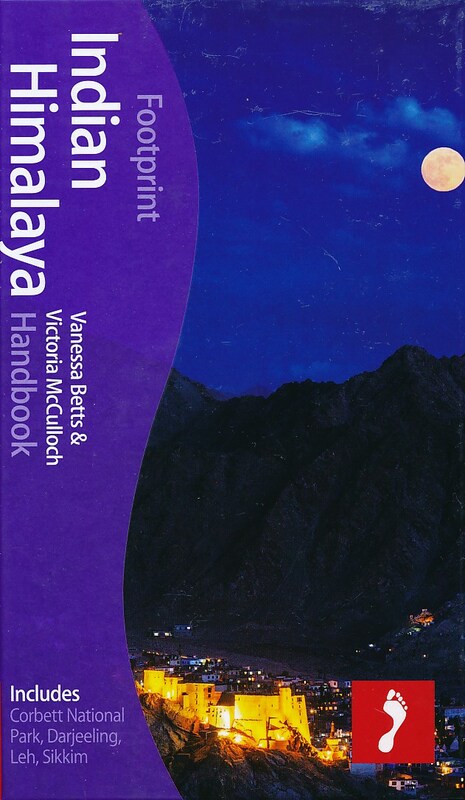 They have previously authored the Bradt Guides to Tajikistan, South Sudan and Uzbekistan. Encompassing a vast stretch of land from the lush Kashmir Valley to the mountains and epic wilderness of Ladakh, the area now covered by the Indian state of Jammu and Kashmir has long astounded visitors with its beauty. Marvel at the views from the roof of the world at Khardung La, trek along the frozen Zanskar River, stroll through the Eden-like Shalimar Gardens, take a shikara ride through the lotus-bedecked lakes of Srinagar and join the monks at Thiksey Monastery for early morning prayers by candlelight. After decades of instability, Kashmir is back on the tourist scene and keen to make up for lost time. 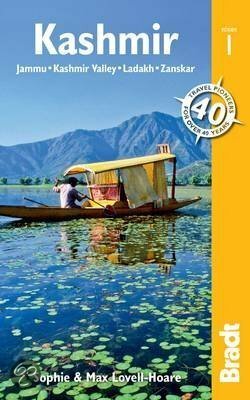 This, the only standalone mainstream guide to the state, makes the ideal companion whether you want to white-water raft on the Indus River, relax on a houseboat or explore Buddhist culture at shrines up and down the region. Uitstekende - meest uitgebreide - reisgids van dit land. Hoge kwaliteit, veel kaartjes en praktische informatie. Duits, 516 (!) bladzijden. Dieser Reiseführer ist das optimale Handbuch, um Ladakh und Zanskar individuell zu entdecken. 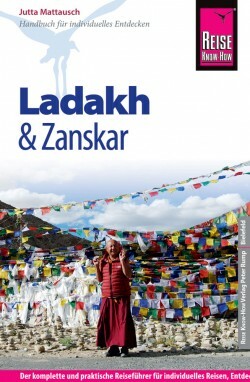 Ladakh, auch Klein-Tibet genannt, und Zanskar liegen im Norden Indiens und sind seit Jahrzehnten Ziel für abenteuerlustige Globetrotter und Gebirgswanderer. Die Region ist aufgrund hoher Bergketten nur schwer zugÃ¤nglich, was der Kultur ebenso wie der Landschaft einen einzigartigen Charakter verleiht. Gewaltige und bizarre FelswÃ¤nde, die zum Greifen nah erscheinen, umrahmen üppige und weitlÃ¤ufige GrünflÃ¤chen. Ladakh und Zanskar eignen sich hervorragend zum Trekking. Die Autorin liefert einen authentischen Einblick in die Alltagskultur der gastfreundlichen Ladakhis. Kultur- und Buddhismus-Interessierte finden hier einen unvergleichbaren Reichtum an Klöstern und religiösen Zeremonien. Der kürzlich komplett aktualisierte Reiseführer bietet vor allem aber wichtige Tipps und Informationen für Individualreisende: Alle praktischen Reisefragen, kompetent und detailliert beantwortet. Tipps zur Anreise durch Nordindien, mit Zwischenstopp in Dharamsala. Unterkunftsempfehlungen für jeden Geschmack: Guest Houses, Hotels, PrivathÃ¤user, Klöster. Essen und Trinken: die ganze Vielfalt der ladakhischen, tibetischen und indischen Küche. Verkehrsmittel vom Fahrrad über den Bus bis zum Lkw. Besichtigungstipps zu architektonischen Besonderheiten und historischen StÃ¤tten. SorgfÃ¤ltige Beschreibung aller sehenswerten Orte, Klöster und Landschaften. Ausführliche Kapitel zum Trekking im Himalaya (inkl. 9 detailliert beschriebenen Routen unterschiedlicher Dauer). Empfehlungen für den ladakhischen Alltag: Einkaufen, MÃ¤rkte, Feste. Wissenswertes zu Natur, Geschichte, Religion und Kultur. 32 OrtsplÃ¤ne und Ãœbersichtskarten. Kleine ladakhische Sprachhilfe. Gids met adequate beschrijvingen van wat een land of gebied te bieden heeft voor de toerist, zonder te blijven steken bij de meest voor de hand liggende trekpleisters. Incl. plattegrondjes, illustraties en praktische tips. India staat als toeristische bestemming al jaren in de belangstelling van westerse reizigers. En terecht, want het land is heel afwisselend en heeft de bezoekers veel te bieden: men vindt er Tibetaanse kloosters hoog in de bergen van de Himalaya, forten uit de tijd van de mogols, met erotisch beeldhouwwerk overdekte tempels, palmenstranden en wildreservaten. Het klimaat varieert van arctisch koud in het hoge noorden tot tropische temperaturen in het zuiden. Opmerkelijk is de verscheidenheid aan bevolkingsgroepen. Er zijn miljoenensteden als Delhi, Calcutta en Mumbai, maar ook vissersdorpjes en kleine boerengemeenschappen. 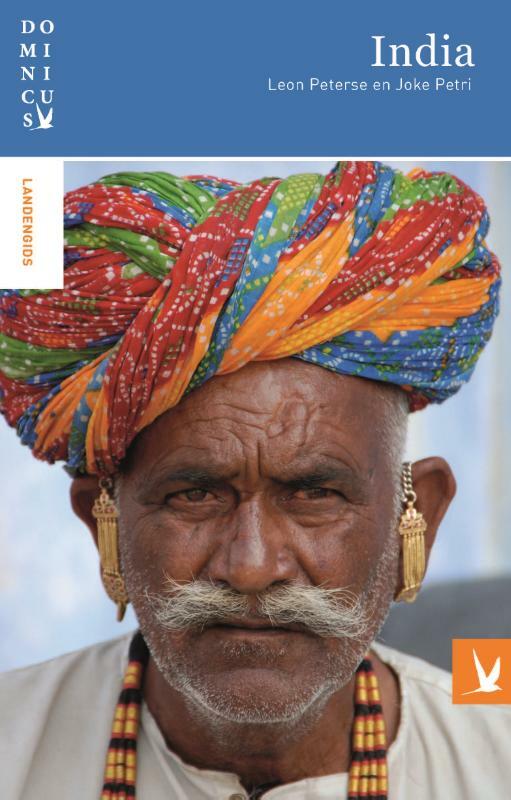 Naast uitgebreide informatie over het land en de bevolking, geschiedenis en cultuur komen in deze gids de hoofdstad Delhi, het in het noorden gelegen Ladakh en de sprookjesachtige deelstaat Rajastan aan bod. De auteurs laten het mogolverleden herleven in Agra. Orissa, met de Gouden Driehoek en kleurrijke minderheden, is in opkomst. Het zuiden heeft magnifieke tempels en is voor veel bezoekers het 'echte' India. En Goa met zijn stranden vormt een perfecte afsluiting van een rondreis door het land. Al deze aspecten komen in deze gids uitgebreid aan de orde. Betrouwbare praktische informatie, mooie foto's en duidelijke kaarten completeren het geheel. Beroemd om zijn betrouwbare keuze van hotel- en restaurantadressen in alle prijsklassen; Berucht voor zijn kritische noten en persoonlijke visie; Overvloedige achtergrondinformatie over het land en over de bezienswaardigheden; Speciale aandacht voor extra tips die een reis net iets meer pit geven. Trotter houdt geen cliches in stand, maar biedt de individuele reiziger een persoonlijke visie. De traditionele trekpleisters worden verfrissend beschreven en ongekende schatten worden geopenbaard. De selectie van hotels en restaurants is uniek en de hoeveelheid praktische informatie overvloedig. Naast algemene informatie over het land (waaronder geografie, bevolking, klimaat, politiek, godsdienst, geschiedenis en economie) is Trotter een onuitputtelijke bron van handige weetjes over gastronomie, drank, dans en muziek, gebruiken en savoir-vivre, taal en woordenschat, mensenrechten, literatuur, fooien, veiligheid, openingstijden en nog veel meer. Bovendien is Trotter, dankzij de talloze tips, de ideale gids om ter plaatse te gebruiken: Waar vind je onderweg een passend hotel of restaurant? Welke bus moet je nemen? Welk dorpje mag je zeker niet missen? Welke bezienswaardigheid kun je beter links laten liggen? 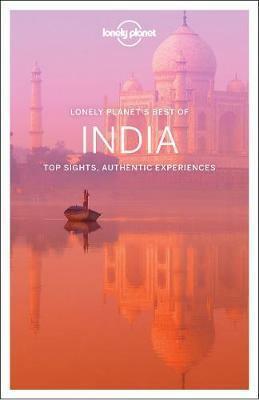 Zo mogelijk nog betere gids dan de Lonely Planet. Vol met de praktische informatie over reizen, slapen etc. Goede verwijzingen naar websites en veel mailadressen. Zelfde soort informatie als de Lonely Planet, diepgaander met vooral meer tips in de minder bekende gebieden. India strikes its visitor with a sensory, intellectual, spiritual and philosophical assualt that's unmatched by any other place on earth: this subcontinent's sheer diversity is staggering. 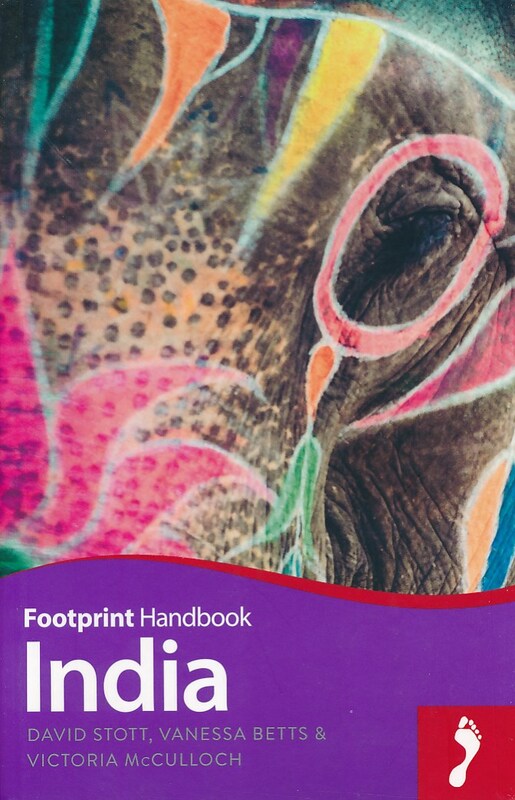 Footprint's 19th edition India Handbook will guide you from tropical beach paradises and lush backwaters, to forests where elephants roam and foothills clad in tea plantations. Loaded with information and suggestions on how to get off the beaten track, from ruined temples and shimmering cities to spotting tigers and trekking the Himalaya Includes comprehensive information on everything from transport and practicalities to history, culture & landscape Plus all the usual accommodation, eating and drinking listings that you can trust, for every budget Full-colour planning section to inspire and help you find the best experiences Personal recommendations from the authors on everything from festivals and haggling to camel safaris and rail routes. Zeer goede reisgids voor India, geschikt voor zowel de georganiseerde maar vooral voor de zelfstandige reiziger. Boordevol informatie over reizen, slapen, eten, maar ook musea en cultuur. Uitputtende bron van informatie, veelal nog completer dan de Lonely Planet. Inleidende informatie over land en cultuur is zeer goed. 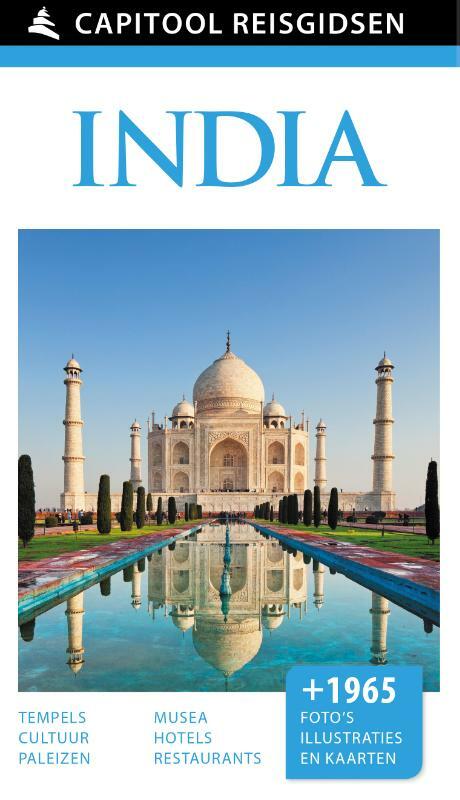 Thoroughly revised and revamped with expanded coverage for its tenth edition, The Rough Guide to India is the ultimate travel guide to one of the worlds great travel destinations. 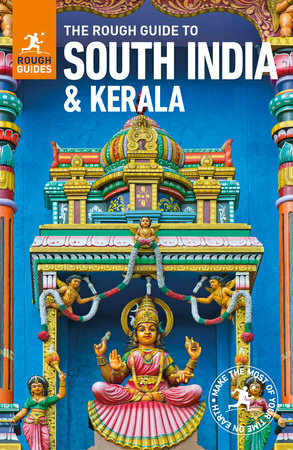 From the majestic landscapes of the Himalayas to the tropical backwaters of Kerala, the Rough Guide covers this endlessly fascinating country in unparalleled depth, with crystal-clear mapping and stunning photography throughout. Rough Guides team of experts bring you all the major headline sights, from the €œGolden Triangle€� of Delhi, Agra and Rajasthan to the beaches of Goa, and insider knowledge on new and off-the-beaten-track destinations, such as up-and-coming beach resorts and newly created wildlife reserves, with the most reliable background coverage available. Youll also find practical tips on the latest developments in this fast-changing destination, from the new e-Tourist visa programme (making it easier and cheaper to visit than ever before) to the explosion in B&Bs, home stays and hostels, the rise in adventure travel and even the incipient craft beer scene. 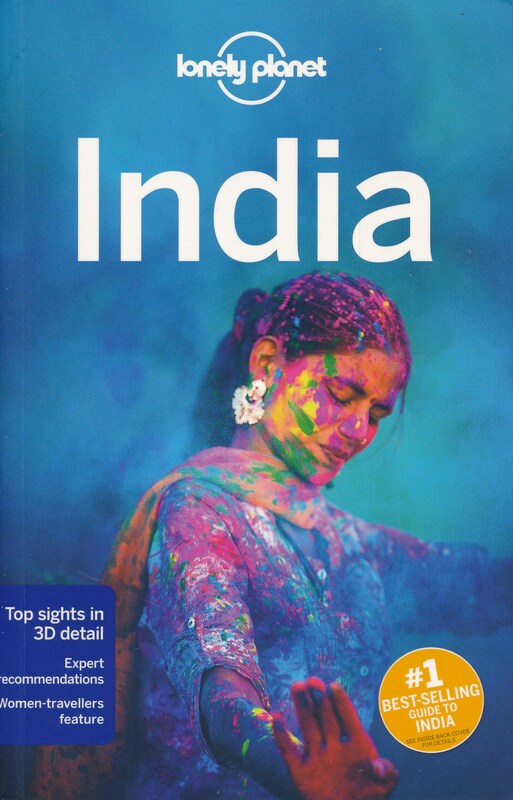 Whether youre planning the holiday of a lifetime or a six-month backpacking adventure, The Rough Guide to India will ensure you dont miss a thing. Een onvergetelijke ervaring India is een zeer afwisselend land. Binnen zijn geografische grenzen, van de Himalaya in het noorden tot het tropische zuiden, kent het land een duizelingwekkende mix van culturen, talen, bevolkingsgroepen, religies en leefstijlen. De hoofdstad Delhi is een belangrijke plaats voor het land. Tot de beroemdste monumenten behoren de Qutb Minar, het Mausoleum van Humayun en het Rode Fort, die alle drie op de Werelderfgoedlijst van Unesco staan. De Capitool Reisgids India In de reisgids India is het land opgedeeld in tweeëntwintig gebieden. Elk gebied wordt in een apart hoofdstuk beschreven. Ieder hoofdstuk bevat foto's, illustraties en kaarten, opengewerkte tekeningen, driedimensionale beelden en plattegronden van de belangrijkste bezienswaardigheden. Met ook Bollywood, geschiedenis, accommodatie, restaurants, amusement, natuur en architectuur. Met de frisse nieuwe lay-out, nieuwe hotel- en restaurantpagina's, verbeterde kaarten en nieuwe reisroutes heeft de reisgids een complete make-over gekregen. India stelt zich open voor nieuw tijdperk Als gevolg van de snelle economische groei vinden er in India momenteel grote veranderingen plaats. Veel jongeren en stedelingen omarmen de moderne westerse invloeden. Maar wat betekent deze ontwikkeling voor de religieuze en culturele tradities? De vernieuwde uitgave TE GAST IN India laat zien wat Indiërs vandaag de dag beweegt. Journaliste Brigitte Ars, de samenstelster van deze uitgave die getrouwd is met een Indiër, maakt duidelijk dat je eigenlijk niet van één India kunt spreken. Er gaapt immers een immense kloof tussen stad en platteland en tussen het noorden en zuiden van het land. Met tweeduizend etnische groepen is het bovendien een mengelmoes van culturen met daarbinnen veel verschillen. Dat het land desondanks als een eenheid naar buiten kan komen, bleek dit voorjaar toen India het WK cricket won. De uitzinnigheid na het winnen van de titel was ongekend en leidde tot een intens gevoel van saamhorigheid. Pragmatische religie Wie naar India reist komt er oog in oog te staan met het hindoeïsme en zijn grote verscheidenheid aan goden. Het hindoeïsme blijkt een pragmatische, flexibele religie die in de loop van duizenden jaren talloze elementen in zich heeft opgenomen en zo de tand des tijd heeft weten te doorstaan. Ook de betekenis van het kastenstelsel, een belangrijk kenmerk van een hindoe samenleving, is door de eeuwen heen behoorlijk veranderd. Datzelfde geldt voor Diwali, het belangrijkste hindoe feest. Hoewel miljoenen Indiërs nog altijd de traditionele olielampjes aansteken, vinden velen dat de commercialisering het feest heeft overgenomen. Westerse invloeden In de steden zijn de moderne, westerse invloeden zichtbaar in de vorm van trendy cafés en luxe winkelcentra. Opvallend zijn ook de veranderingen die de befaamde Bollywood films momenteel ondergaan. Steeds vaker komen controversiële thema's aan bod, met name op het gebied van seksualiteit en relaties. Met de toegenomen welvaart gaan elke jaar meer Indiërs op vakantie in eigen land. Velen verkiezen een strandvakantie boven een pelgrimage. Ook een tijgersafari in een van de Nationale Parken staat inmiddels hoog op het verlanglijstje. En een dagje met de kinderen naar het pretpark wordt bij voorkeur afgesloten met een bezoek aan McDonald's. Over dit alles en nog veel meer lees je in de nieuwste editie van TE GAST IN India. Samengesteld door en voor reizigers: verhalen van mensen die er gewoond of gereisd hebben. Literatuurlijst, praktische tips, vooral veel achtergrond- en cultuur informatie. Journaliste en auteur Brigitte Ars is de samensteller van TE GAST IN India. Zij kent als geen ander India van binnenuit. Ze beschrijft in haar openingsverhaal haar eerste ontmoeting met haar Indiase schoonouders in Bangalore. Ze is onder de indruk van de vele godenafbeeldingen en maakt kennis met de huisgod. Maar ook elders in India zijn de mensen druk met hun goden. Van de Gouden Tempel, het pelgrimsoord van de sikhs in Noord-India tot de indrukwekkende Shiva-tempel van Chidambaram in het zuiden van India. Tegelijkertijd vinden er in India als gevolg van de economische groei in snel tempo veranderingen plaats waardoor Indiërs soms in een lastige spagaat komen te zitten. Zij hechten weliswaar aan hun religieuze en culturele tradities, maar tegelijk omarmen vooral de jongere generaties en de stedelingen de moderne, westerse invloeden. Zo dreigt het religieuze familiefeest Diwali ten prooi ten vallen aan de commercie en verkiezen steeds meer Indiërs een strandvakantie boven een pelgrimage. Wie er aan twijfelt of men zich in India wel bekommert om de hygiëne moet vooral het Sulabh toilettenmuseum in Delhi bezoeken. Je zult versteld staan met hoeveel vernuft Indiërs het poepprobleem te lijf gaan. Behalve een viertal bijdragen van Brigitte Ars bevat deze vernieuwde pocketeditie van India artikelen van Ad van Schaik, Marianne de Swart en Evelien Heezen. Opmerkelijk is de bijdrage van Els Tijssen. Zij doet verslag van een zoektocht naar de tijger, het nationale dier van India, symbool van kracht en meer dan ooit met uitsterven bedreigd.